Do you get your clients to stretch or see clients donate the end of their session with a 5 minute token gesture? The main question would be, why do we stretch and are your clients really benefiting whilst working towards their goals? Keep reading and immerse yourself into the physiology of stretching and how performing different types of stretching can attract more money to your PT back pocket! Let’s kick start with a couple of definitions surrounding stretching and improving flexibility. Cotton, 1997 discussed flexibility as “a measure of the range of motion (ROM) available at a joint or group of joints”. Whereas, Kendall et all, 1993, outlines flexibility as “the ability to readily adapt to changes in position or alignment; may be expressed as normal, limited or excessive. These two definitions are appropriate for your clients as they no doubt walk into your consultation with a whole host of alignment issues as a result of their current and past lifestyle choices. Our lifestyle choices exacerbate whether a joint has limited or excessive movement available. For example, the western world adapt a triple flexed seated position for many hours each day, in the car, at home, in the work place and at the cinema which in turn exacerbates the tightness (limited) ROM at the ankle, knee and hip. This can further lead to further mal-alignment up the spine, shoulders and neck. So all in all, sitting for too long is probably the worst activity known to mankind. So stretching is not just about a 5 minute token in the gym, it goes much deeper than that; we need to provide lifestyle advice to support our stretch sessions and truly get a long term sustainable response. 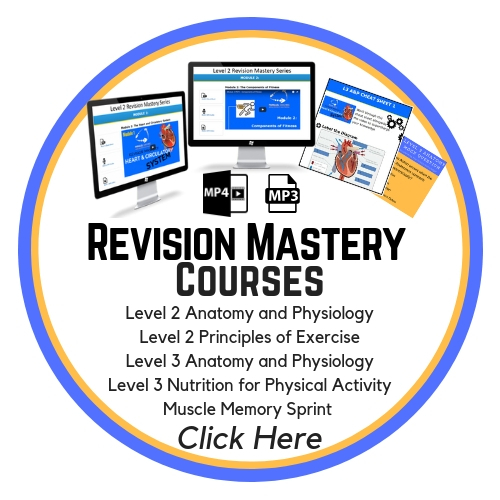 Muscle spindles are located within muscle fibres and their main function is to send messages back from the muscle to the central nervous system to inform about its state of stretch (length of the muscle). If the muscle is stretched, distortion of the muscle spindles causes a ‘myotatic reflex’ (automatic contraction) to come into play, thus avoiding damage through over stretching or miss use of the muscle. This muscle spindle activation (muscle contraction) is felt as the tension of the stretch. The amount and rate of contraction elicited from the stretch reflex are proportional to the amount and rate of stretching. Hence, the faster and more forceful the stretch, the faster and more forceful the reflex contraction of the stretched muscle; therefore, the greater the likelihood of the muscle tearing (particularly in an untrained muscle). GTOs are sensory nerves located near the musculotendinous junction. They are activated by a contraction in a muscle and help prevent excessive tension occurring within the muscle, or the tendon of that muscle. In contrast to the muscle spindles, stimulation of the GTOs will cause a reflex contraction of that muscle (the inverse stretch reflex). This resulting relaxation is important for certain stretches because the inhibition of the muscle in which they are located, will allow muscle fibres to lengthen and stretch further. Relaxation that occurs in the same muscle because of GTO activation called autogenic inhibition. This is achieved by contracting a muscle immediately before passively stretching it. The contraction will increase GTO activation, thus increasing the subsequent muscle relaxation during the stretch. Reciprocal inhibition is the relaxing effect that occurs in a muscle when the antagonist is contracting. This occurs to allow an easier contraction of the antagonist. Hence, contracting the antagonist muscle will allow for a greater stretch in the muscle being elongated. 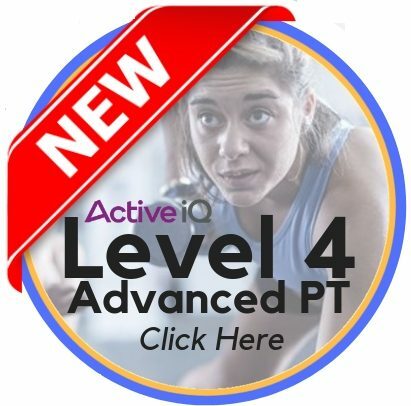 The various forms of passive stretching allow you as a trainer to exploit both the autogenic and reciprocal inhibition mechanisms to move and encourage a client into a greater range of motion. Your participant must be thoroughly warm first. Instruct your participant to lie on floor or mat. Kneel beside participant and extend participant’s leg upward. Position the back of participant’s lower leg on your nearest shoulder. Hold the clients foot and just below the above the knee. you clients resting leg can be straight or bent here, and arms spread to the side so they are evenly positioned and can push through the floor. Make sure your back is kept neutral. Your client should feel a stretch and have a totally straight leg. Hold here for 20-30 seconds or until tension fades. Ask your participant to push against your shoulder with approximately 70% of their strength, using their hamstrings. Hold this isometric contraction for 10seconds and then ask them to relax. As they relax gently push your participant’s leg in the direction towards their chest, to increase the stretch. Hold this stretch for another 20-30secs or until tension fades, then repeat the contraction and relaxation phases for 3-4 intervals. Every stretch phase should increase the range of movement gradually. Once the intervals have completed, shake out your client’s leg and remember to do the same on the other leg. PNF stretching is a great way to develop flexibility and you will see immediate results with your clients. Make sure you monitor intensity throughout and only do PNF once fully warm. Regularly, programme these PNF stretches to see improved ROM as part of a long term plan. 1. Rectify muscular in balances and correct poor posture – which is exacerbated by sitting down a lot. 2. To improve flexibility and ROM to avoid back pain and help daily life activities – the lower back, hip flexors and hamstrings get really tight; so stretch these regularly to help avoid lower back pain. 4. To release built up toxins – tight muscles create a network of tangled muscle fibres, which traps toxins in the body. Stretching realigns the fibres and helps to release these back into the blood flow, so they can be flushed out of the body. ..make sure you drink plenty of water after a stretching session. 5. Get advanced: Stretch the over active muscles to make sure you activate the targeted muscles in your workout – for example try stretching the hip flexors before a squat or running session – to really improve glute activation.